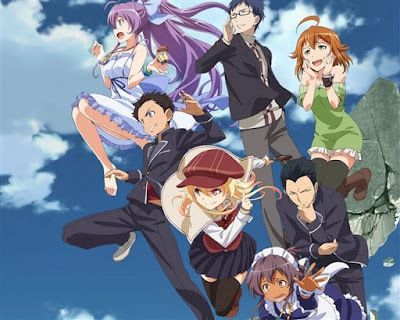 This post is about... well, my favorite anime shows. I know that many people aren't drawn to this sort of thing (anime) but there are also many people who do. I love watching anime... it doesn't feel strange or weird to me. It's much (much) different from animation. They are really not one and the same. At all. I've been watching anime for 6 years now (ever since I was 12). 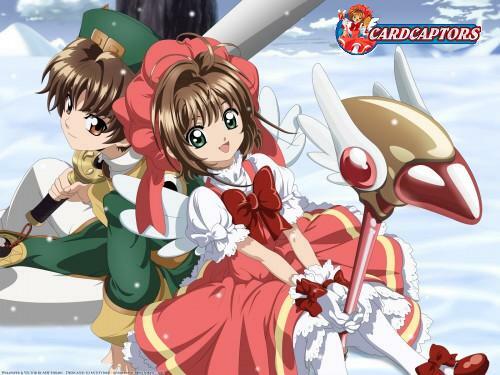 I watched some anime shows when I was little (like cardcaptor Sakura) but I didn't know they were anime at the time. not until much later. Science fiction, Fantasy, Romance, Monsters, Sword fighting, Adventures, Fun times, sad times... this show has it ALL. If you're an anime fan and haven't watched it yet - GO WATCH IT. And even if you're not an anime fan and simply want to try out something you never tried before or want to watch an anime for the first time but don't know where to start... start with this one. Unless you're not a fan of Fantasy or science fiction. If not, there are many other anime I'll be listing down below that may be your thing. 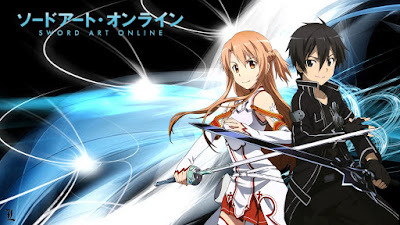 If you are a fan of those things though, SAO is the perfect anime to start with. A season 3 hasn't been confirmed yet but it seems to be happening, unsure yet when. The problem with anime? unlike with TV shows, when you basically know immediately if it has been renewed and if so when, with anime... you don't even know if there will be a next season. And even if there will be, you can never know when. It could be in a few months, in a year, in 2 years and even more (That's the only downside). What has been confirmed though is an SAO movie that will be coming out in 2017 (wow, thanks, people who're producing the anime... 2017 is only, oh, forever from now). An Epic anime. It's the kind of anime you always have good times watching. It's still on-going so every few weeks I do a Marathon of a few episodes. It's the kind of anime that seems to be on-going forever... It's nice to know it'll never end. Well, of course it will end sometime but sometime can be a long time from now. Just look at the anime Naruto; I remember seeing it on TV when I was about 7 or 8. It's 10 years later and it's still on-going. The number of episodes of Fairy Tail would probably be overwhelming so I won't recommend starting with this anime If you're not all the way into the anime world. I actually never get overwhelmed by the number of episodes in an anime\show. The opposite, actually. If the anime\the show is good... I would like there to be as many episodes as possible. so... my recommendation? If you're new to the whole 'anime watching' thing, you might want to wait until you're more acquainted with it. 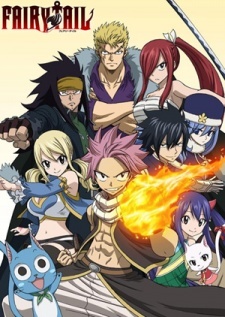 If you're not and you're looking for a good anime to watch, something fun that will keep you entertained... give Fairy Tail a try. my only warning: You'll probably have to get past the few first episodes before really getting into it. Lucy and Natsu (I didn't ship them in the beginning but now...? well, now it just seems right). I'm so glad I didn't give up on it and went to watch something else, because this show BLEW ME AWAY With how deep it was, with how beautiful, complicated and clever. It's the kind of anime that will leave you gasping in surprise because you did not expect it to be like this. There are 24 episodes out, a movie (that takes place after the episodes), an OVA (takes place after the movie) and 4 ONAs (very-very short episodes). 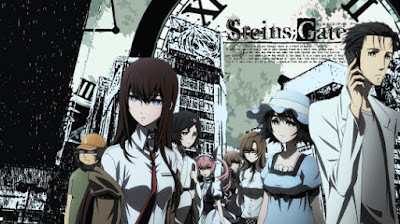 About a season 2: A season 2 has been confirmed (unsure when, though) and it'll be called: Steins Gate 0. A 10 minutes long prequel to Steins Gate 0 (called 23 beta) already came out. 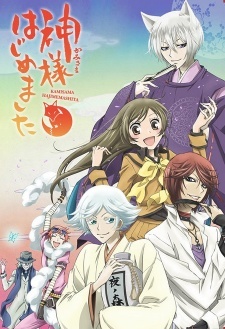 A light, fun, entertaining anime. Romantic-Fantasy-Comedy. 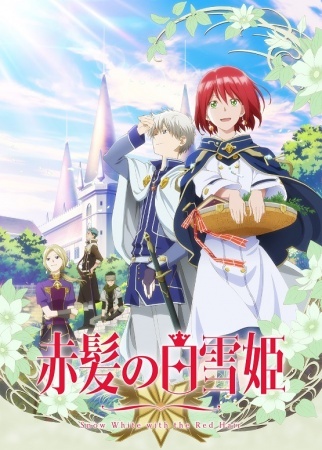 If you're looking for a light and fun romance that also has fantasy in it... this is the anime for you. I enjoyed watching it so much. I'm pretty sure I re-watched it 3 times already. Watch the first episode and you'll know what I mean. It's also a good anime for beginners to watch. It's very comical, though, so if you like the more serious type of shows... It might not be for you. But this anime has it's serious moments as well. I love a good combination of comedy and seriousness. Anyhow, Kmisama Hajimemeshita (that's a complicated name to write, huh?) has 2 seasons so far. Season 1 consists of 13 episodes and season 2 of 12 episodes. There is also an OVA that takes place after season 1 + 4 OAD that takes place after season 2 (at the moment only 2 are out). It has yet to be renewed for a third season but it's not surprising considering it has been 2 years between season 1 to season 2. I do hope they'll renew this show. For a romance-comedy anime, this show has one of the best mysteries I've seen in an anime. It's the kind of mystery that just gets more and more complicated, more and more intruging. 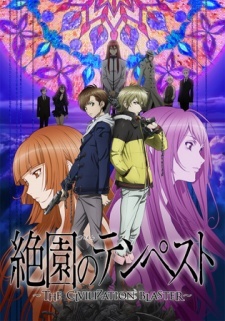 If you're looking for a fun anime with an interesting aspect of mystery to it, you should definitely try this one out. I really enjoyed it. There were moments so hilarious I just laughed out loud. The first season has 20 episodes + 3 OVAs and the second season has 12 episodes + 1 OVA. The anime has yet to be renewed for a third season but the mystery is not solved yet so I hope we'll see the third season soon enough. It's not too heavy and not too light. It has just the right amount between the two. There are 2 seasons (each season with 12 episodes). There is no information about a season 3. I'm hoping for a season 3 to be announced soon. This anime... this anime is perfection. 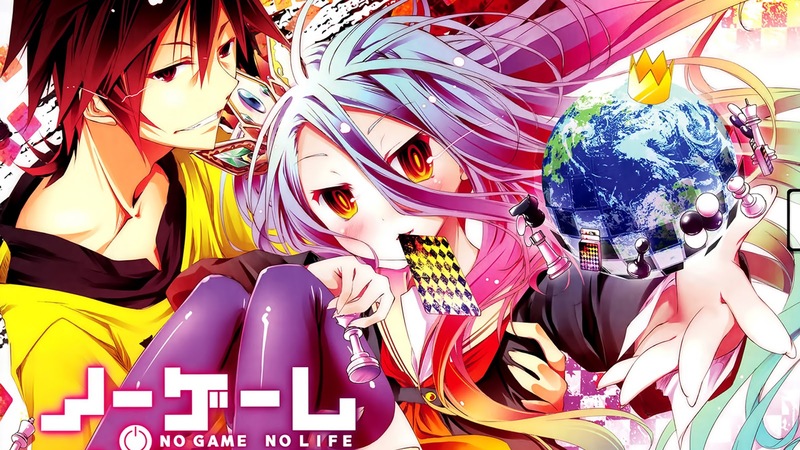 If you're looking for a fun fantasy anime that will blow your mind - go watch No game No life. You won't regret it. Right now I'm addicted to the opening song (No Game No Life OP). If Japanese songs aren't you thing then it makes sense if you won't like it (songs in other languages aren't everyone's thing). But if you do like it... I'm glad. Pure fantasy, an original anime (not based on a manga or a light novel). 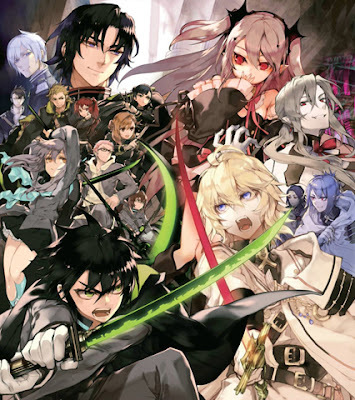 The relationship between all those characters is complex and beautiful, the fantasy aspect is something I haven't seen before and the MC (the one in the middle of the picture) is very likeable and totally not what he seems. 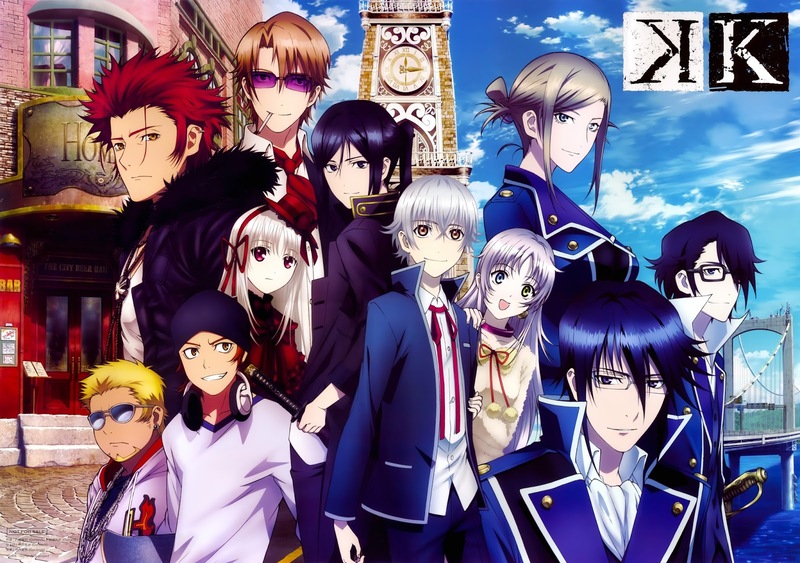 Anna, Misaki, Fushimi, Shiro, Neko, Kuroh... they are all so amazing. 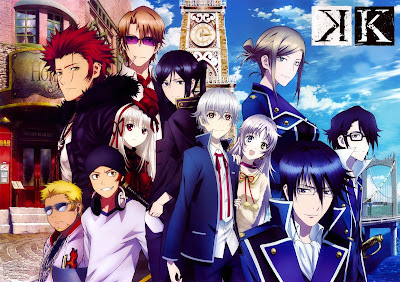 K Project has 2 seasons (each with 13 episodes) and a movie that takes place after season 1. Because of the ending of season 2 that was rather closed, I'm not sure if there is going to be a season 3. And there is currently no information about it either. I'm still hoping for one. 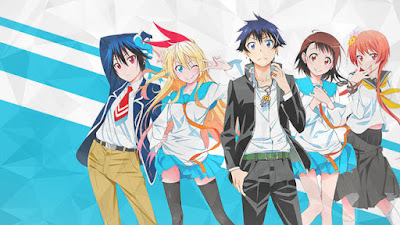 Remember, above, how I said Nisekoi has one of the best mysteries I've seen in anime? then this anime has the best mystery I've seen. I changed my mind about what's going on every episode. everyone (except one) is a suspect and you have no idea who. On top of that, all of the characters are the only people who can save the world from the demons and they are trapped somewhere with a great mystery. They have to solve in quickly or all will be lost. But how can you solve something If you can't trust anyone beside you? Fantasy, Mystery, slow build romance, action, a protagonist that doesn't know what's to 'give up'. Shirayuki (snow white) has a very unique hair - Red hair. She's apparently the only one with that hair color in all the kingdoms. It makes her both special and hunted. I love Shirayuki. She seems like your regular damsel in distress but while she's a damsel, she's not distressed or waiting for prince charming to save her. She's smart and strong willed. Awesomeness, High school students developing sudden special powers, Humor, battles (both serious and fun alike), romance here and there... what more can a person ask for? I marked this anime as 'awesome' because there really isn't another way to describe it. It's really good and fun and I enjoyed it very much. Already re-watched it 2 times. There is one season with 12 episodes. I'm really hoping for a second season but there aren't any news about it so far. Cute, light, sweet... this anime follows a girl named Ichigo who has an exceptional taste when it comes to food and sweets. 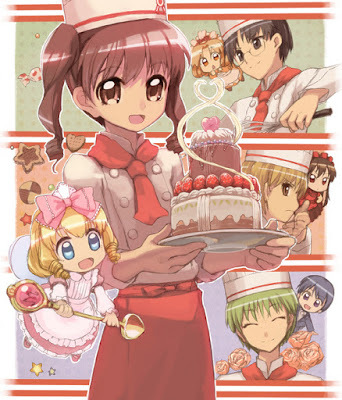 In the beginning of the story she transfers to a school for young Patisseries by the recommendation of a mysterious person she met in a buffet. 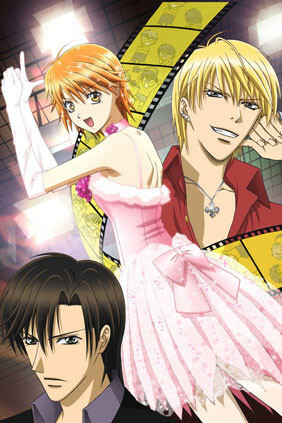 This is a fantasy-romance-fun anime. I re-watched it so many times I can't even remember how many. You need to go through the first few episodes to really get into it and it's worth it. 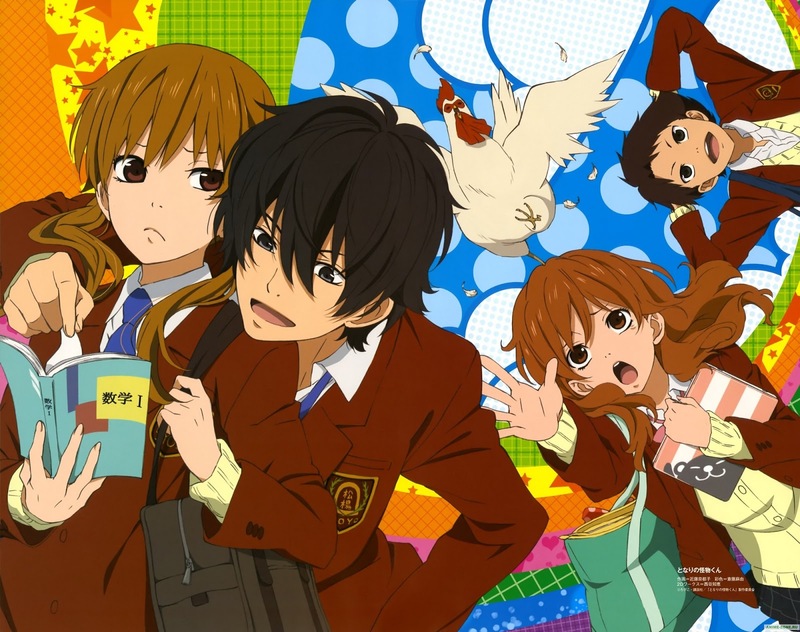 I love this anime immensly. 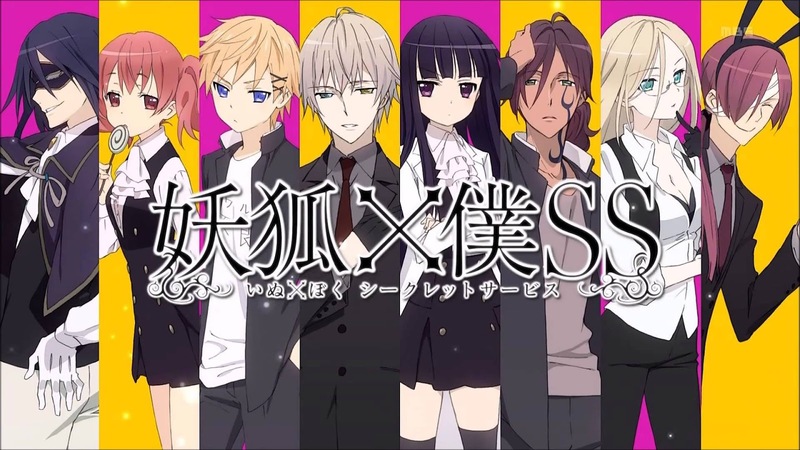 This anime most likely won't have a third season (but I'm still hoping for one someday). Magical items, Mystery and adventure, treasure hunt, a ghost who loves pudding, an apiaring detective, a special club, some bad guys and a protagonist who is more than he seems. There is only one season with 11 episodes and no knews about a second season. Such a great anime - highly reccomended. 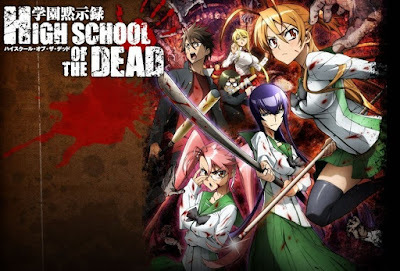 A group of 5 resuorcful students and a teacher are in school when out of nowhere they find themselves right in the middle of a zombie appocolypse. They have to fight their way through and attempt to survive in a world that isn't their own anymore. If you don't like zombies and a lot of blood... this anime is probably not for you. This anime is so beaitiful. Nike, a princess of a faraway rain kingdom is asked (she wasn't given much of a choice, really) to marry the king of the sun kingdom. I can't say much more because it's so much more fun as things reveal themselves. It's light and cute yet serious and sad at times and It's so good. Highly rccomended. There is one season with 12 episodes. I'm really hoping for a season 2 (so far no news). Kyoko, a cheerful girl coming to the big city to help make someone else's dreams, is struck by the betreyal of her life. Said betreyal doesn't only change her decisions of the future but her personality as well. To take her revenge, she decides to go into the show biz. Sounds heavy but this anime isn't heavy at all. It's great fun. I find myself re-watching it every now and then. It's a real shame the anime doesn't have a season 2 (there is one season with 25 episodes). Ririchiyo moves into a mysterious mansion for mysterious reasons, but the mansions and the poeple in the mansion are not what they seem. And so is Ririchiyo. I went into this anime without knowing much and I think it's best. There is fantasy. There is a beaitiful romance (not left just with hints) and a great cast of characters. Oh my goodness... people, you have to watch this one. 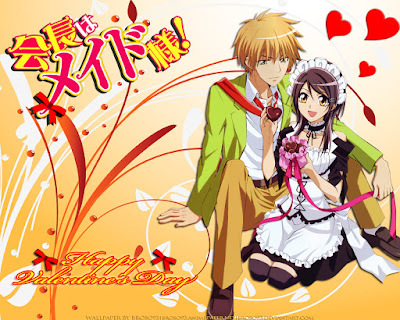 Oh and... in the pictures misaki looks like a sweet maid but... oh, how misleading it is. Just watch it and you'll understand. Love fantasy? an anime that isn't afraid of taking the romance further than just hinting about it? 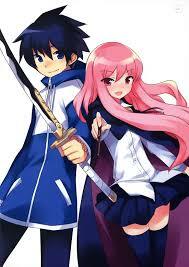 go watch Zero No Tsukaima right away. Louise is a magician in a school for magicians set in a magical world. On the ceremony to summon a magical companion familiar, everyone summons a magical familiar but Luoise... seems to have summoned a human. Saito is from modern day Japan when he's suddenly transported into a magical world he doesn't understand and finds himself having to serve Luoise as her familiar. Fun, cute and mainly amusing-funny. You'll find yourself laughing out loud plety of times watching this one. It's a story about first love that goes into unexcpected places. No news of a second season but I'm hoping for one. Caedaptor Sakura is one of the most beautiful anime I know. This is actually the first Anime I've ever watched. It was about when I was 8. Cardcaptor Sakura never gets old. I've been watching it once or twice a year for a few years now and it always feels like the second time all over again. Cardcaptor sakura is something that will stay with me forever. you're probably thinking: a main character this young? Ah... I don't know, I'm 16\18\20... I don't think it's for me. Well, let me reassure you: Sakura isn't your regular fourth grader. She's very independant and such a great character. plus, she fights magical entities and goes on to dangerous adventures. No fourth grader can be called 'regular' for this. I really think you should try watching cardcaptor sakura. I think it's great for anime beginners as well. And anyway, what's the harm? if you don't like it, you can always stop watching. Even though the anime aired between 1998-2000, the art style, the characters... everything doesn't seem old fashioned at all. And believe me, I also find it hard to watch anime with art style of a very long time ago. but cardcaptor sakura is on a different level. 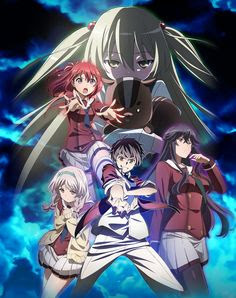 The anime has 70 episodes (divided to 3 seasons), 3 specials (the first one takes place after episode 35, the second one after episode 53 and the thirs one between episodes 23-35) and 2 movies (the first movie takes place after season 2 and the second movie is an epilouge to the anime that takes place after the last episode - episode 70.
combining qouates from The Tempest by William Shakespear, a heartbreaking romance, a mage stuck on an island, some other mages trying to kill the boys and the boys themselves using magic to solve the mystery... it all makes for an unforgettable story. I'm pretty sure Naruto has been on-going since the dawn of time. In any case, this is the kind of epic anime that never gets old. at least not for me. The action and the battles are top notch. The 'I'll never give up' style of Naruto makes for a character you'll keep rooting for forever. The complicated frienships and relationships... this anime goes from funny to sad to tragic to fun to high-spirited. I wont lie, Naruto has a lot of episodes. And I do mean a lot. For me it was worth watching them all. 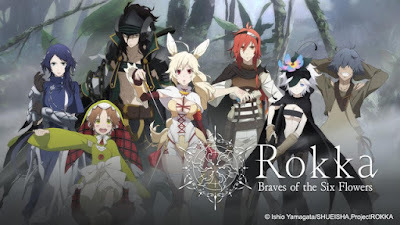 If you're looking for an anime that will keep you busy for a while and\or you don't mind an anime with a lot of episodes... well, then, try this one out. The anime is devided for two parts: Naruto and Naruto Shipudden. Naruto Shippuden has 457 episodes (so far. but the anime is, sadly, coming to an end soon...), 8 movies and 7 OVAs. 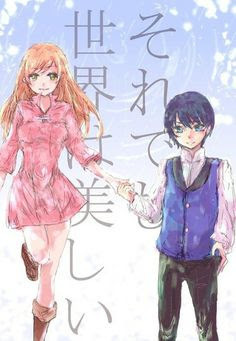 Chiyo, a high school girl, finally gets the courage to confess her feelings to the boy she likes. Things don't go as plan when the boy thinks she confessed for liking his work as a manga artist. P.S: I've been thinking on doing a 'most anticipated movies of 2016'. What do you think? "Usually, in a story, when the protagonists end up in another world, they try their best to find a way home, right? Why would they try to go back to a world like that?" -- No Game No Life.